Endometrial Hyperplasia is a condition that occurs due to the excessive growth of the lining and cells of the endometrium, i.e. the inner lining of the uterus, due to hick estrogen stimulation. This condition is benign, but may lead to cancer at times. Women who experience irregular menstrual cycles are more prone to this disease, as they do not ovulate properly. This condition is a non-cancerous one. If there is an excessive growth of the hormones, then there is a proliferation of cell lining of uterus. Endometrial Hyperplasia is an abnormal condition in which there is a proliferation of the lining of the uterus occurring due to a sustained stimulation by estrogen. Endometrial hyperplasia may be generally visible as a single and prevailing mass in the endometrial cavity. It may also diffuse the endometrium. It is a pathologig diagnosis. This condition is generally characterized by a proliferation of the uterine glands and the stroma. Even after this proliferation, there may be an over-crowding in glandular regions. Histologically, we can classify endometrial hyperplasia according to its architecture – whether it is simple or complex, i.e. the extent os crowding and glandular complexity. According to the cytologic feature, it can be classified as with atypia, or without it. Several risk factors are associated with the occurrence of this disease. The risk factors of this disease are somewhat similar to those of endometrial cancer. The women who did not undergo hysterectomy are more vulnerable to this disease. Apart from this, women who are overweight are more at risk, as the intensity of this disease increases with obesity. The primary cause of this disease is the lack of balance between the two female hormones, i.e. oestrogen and progesterone. There may be cases when there is too much of oestrogen secretion, without corresponding exposure to progesterone. This is an abnormal condition, known as unopposed oestrogen. Too much oestrogen, and lack of progesterone leads to a situation of overgrowth of cells in the endometrium. This results in excessive thickening of the endometrium. Apart from this reason, this disease can also be caused due to a number of chronic diseases such as diabetes, ovary syndrome and obesity. Tamofixen can also cause Endometrial Hyperplasia as it has a negative effect on the womb to oestrogen, since it is a breast cancer drug. 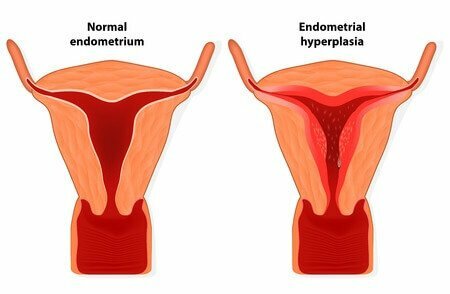 Endometrial Hyperplasia –This is the normal Endometrial Hyperplasia, or Endometrial hyperplasia without Atypia. It may be either simple endometrial hyperplasia without hyperplasia, or complex endometrial without hyperplasia. Simple Endometrial Hyperplasia – In this kind of hyperplasia, the proliferation of cells does not change the relative structure of the endometrium. It is the least harmful of all types. Complex Endometrial Hyperplasia – In this type of endometrial hyperplasia, there is no change in the internal makeup of the endometrial cell. But there is a proliferation at the point where the normal structure of the endometrium is interfered. 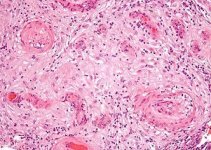 Atypical Endometrial Hyperplasia – This may also be simple or complex. Simple Atypical Endometrial Hyperplasia – this type of hyperplasia can be cured completely with progestin therapy. It has low chances of being transformed into cancer. Complex Atypical Endometrial Hyperplasia – This is the most dangerous category of endometrial hyperplasia, majority of type passes for endometrial cancer. It can be surgically treated through hysterectomy. The patients of endometrial hyperplasia have a probability of developing endometrial cancer. The risk of developing cancer is low in those women who have hyperplasia without atypical chances. The ones with atypical changes are more at risk in this case, especially those who have complex atypical changes. Endometrial cancer is the various type of malignancy that may arise in the endometrium. It is more common in the later stages of life, at the time of menopause. It is also referred to as uterine cancer. It may be cured by performing a endometrium hyperplasia hysterectomy. It is a condition in which a cyst is formed in the uterine lining in females. In this case, the amount of endometrium is ncreased abnormally, as there is no circulation. The gland is swollen, and gets an irregular shape due to the atypical cells. Sometimes, bleeding may occur because of this, but it is not malignant. When endometrial hyperplasia occurs at the time of menopause, it is accompanied by bleeding. It is a sort of vaginal bleeding, which may last for a comparatively long time. At this time, hysterectomy is recommended for cure. It is a condition which occurs when the lining of the uterus grows in excess. This condition is benign, and is called a benign endometrial hyperplasia. This condition can be diagnosed through a number of methods, it may be done by taking a endometrial hyperplasia biopsy or ultrasound. It can also be done through curettage of the uterine cavity so as to obtain endometrial tissue for the histopathologic analysis. This diagnosis can be done by a pathologist who examines a sample of the endometrial tissue that is removed from the endometrial lining by dilation or biopsy. If the hyperplasia is without atypical cells, then it can even be detected by microscopically by an exam. Transvaginal ultrasound can be performed to find out the level of thickness of the endometrial lining in the women. This type of ultrasound evaluates the endometrial thickness, which finds out whether the patient has endometrial cancer or not. Endometrial hyperplasia can be easily detected through biopsy. This can be performed in a doctor’s office. The doctor performs a biopsy by inserting a narrow tube into the uterus to extract a sample of the cells. These cells are sent to the laboratory for examination. Endometrial Hyperplasia can be treated by Hormonal therapy that may include continuous progestin therapy or even hysterectomy. It may be treated through the consumption of medicines such as Povera which may be taken directly or through injections. It may be cured by a D&C – dilation and curettage test. They can also be treated in young women through intrauterine devices or birth control pills. 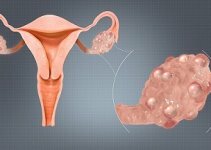 The treatment for endometrial hyperplasia depends on the stage of life in which this condition appears. It also depends on how severe this condition is. Those who experience this problem at the time of menopause or perimenopause can be given a complete course of hormone replacement therapy. If nothing else works out, the patient can resort to Hysterectomy. It is a surgical method of removing this condition. Endometrial Hyperplasia can be completely resolved following a D&C. Hyperplasia that occurs without atypical cells is not that dangerous, and does not progress into cancer. Endometrial Hyperplasia is definitely a very serious condition. It may also interfere with pregnancy in women. Therefore medical help should be taken to cure this condition. It is curable, but precautions should be taken to see that it does not get very serious. I have been bleeding now for three months; age 52; my OBG placed me on Prometrium twice a day for 10 days then once a day for 10 days; I currently have 6 pills left and the bleeding is still consistant and am passing clots at times as large a two half dollars. does this sound like Endometrial Hyperplasia? Should I consider a DNC? I have had one bout of vomiting; dizziness occurs every time I take it within one hour and I feel depressed and foggy at times. Thank you so much for any help you have to offer. I was recently diagnose with this condition after being on Primolut N for about 3 years .. I undergo curettage because i have endometrial hyperplasia and the result of the biopsy are sections reveal endometrial tissue with many small to medium sized endometrial glands embedded in a fibrovascular stroma. No atypical cells seen. 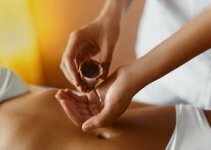 I had an ultrasound done…my current doctor says everything was found to be normal: dimensions of uterine lining, circulation, etc. But the physician evaluating the ultrasound diagnosed hyperplasia. I am not at risk for having endometrial hyperplasia. Am trying to determine if the biopsy and culposcopy ordered were appropriate. I can send my test results if needed. Thank you. my wife age is 43 years she was suffering with high oeriod menturation she already taken tab primulut but no use after she has taken mirena insertian . useing this monthly period is under control. also she undergone test of endometrial hyperplasia, report is complex atypical hyperplasia endometrial. I had D&C for the thick lining into my uterus. Its almost 2 months of my D&C. I had my first menses which was normal. After a week I started to bleed again. After discussion with the doctor he told me that I am having hyperplasia. I dont now what to do. Should I remove my uterus or to do what. My doctor told me that there is no reason to remove. But my concern is that I am still bleeding abnormally. and suffering from abdominal pains. I have had Endometrial Hyperplasia since approx 2006. It went from Simple to Atypical Complex 1, and I had a D&C. Then I was put on Progesterone for 5 years, then I was able to stop the Progesterone. I had no problem for 3 years, and then started having bleeding again. Had a second D&C in December 2014. I kept have light periods for 3 more months. Then it stopped again. Since then, I had some light spotting until October 2017. I had very heavy bleeding (went through 2 supermaxi pads in 4 hours, with huge clots the size of my thumb. Then I had another uterine ultrasound which showed an 18mm thickness, so I am having another D&C to rule out cancer. I have asked for a hysterectomy, but no one wanted to give me one. Even my Gyn thinks it’s probably cancer.